Posted on June 16, 2018 | 2984 views | Topic : Awards 2017, Featured Dev, News & Articles, Property News, Special Focus. The myriad flow of nature often reminds us of a calm place. A place that is becoming more elusive as the dreadful sound of civilisation threatens to drown everything else. For life is birthed from the abundance of rivers and oceans, so too births our desire as humans to be a part of it. 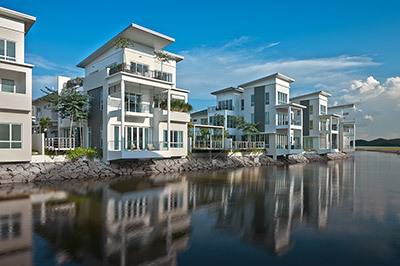 A successful waterfront development is characterised by its ability to showcase the beauty of its watery setting while establishing itself as a vibrant and integrated development for residential or commercial purposes. Be it a river, lake or sea, a passionate seafarer or swimming enthusiast will be proud to call these places home. Located in Iskandar Flagship A, Johor Baru, Country Garden Danga Bay is the first overseas project undertaken by the Country Garden Group, comprising an integrated, mixed commercial, residential and leisure waterfront development. This development is spread over 57 acres, with the residential component comprising of elegant waterfront condominiums that offer spectacular 180-degree views of the sea and impressive architectural technology. The prestigious high-end development is set amidst lush landscaped greenery and is equipped with a comprehensive range of leisure and recreational facilities, not considering the support from an excellent management services team. Country Garden Danga Bay also offers a vibrant waterfront lifestyle for all to enjoy. Residents and visitors can indulge in a host of exciting leisure and entertainment options that include a world-class shoppers’ paradise, the lively Foodie Street, a 70,000 sq ft international clubhouse and a modern marina. The development also boasts the specially built 400 metres man-made white sand beach in Johor Baru, known as the Phoenix Beach. A sprawling nine-acre lake provides the centrepiece for this serene waterfront development. Tranquil waters along the tree-lined lake amidst a green expanse offers respite from life’s daily grind, while specially built jogging paths and cycling tracks encourage healthy lifestyles for all ages. Spend endless hours of fun with the family in parks that feature a garden maze, kinetic, fitness lawn, interactive and children’s playgrounds. There is also a grand clubhouse equipped with a host of recreational and sporting facilities. Residential areas have been upgraded to include playgrounds, water features, pavilion, streetscape and parkland with every precinct enjoying its own lake and pavilion, giving a genuinely picturesque waterfront experience. Meridian East is a fast growing township with residents enjoying the convenience of having amenities like banks, schools, retail and public services amongst others located within the development. It is also close by to the Pasir Gudang Industrial Hub, Tanjung Langsat Industrial Park and the Pengarang Integrated Complex, not considering its accessibility via the Senai-Desaru Expressway. Puteri Harbour, also known as “The jewel of Nusajaya” is an integrated urban waterfront development with a 13.5 km coastline located along Puteri Narrows, the narrowest point at the Straits of Johor. The proximity of Puteri Harbour to Tanjung Piai, Asia’s southern-most point or “Land’s end” enhances its location as a port of call for sailing enthusiasts, thus making it a popular destination for yachtsmen from all over the world. In addition, the three marinas in the development are equipped with an array of facilities such as a laundrette, changing and shower rooms as well as a chart room. The marinas can accommodate 76 yachts at a time and enjoy 24-hour security. Designed to bring world-class waterfront living to Malaysia, this 688-acre development is composed of residential, commercial and leisure lifestyle precincts. Adjacent to the majestic Kota Iskandar, Puteri Harbour will offer the experience of exceptional waterfront living, dining, entertainment, and the arts and culture in a safe and picturesque natural setting. Sebana Cove Resort is a 1,200-acre resort township, offering cohesively planned residential and commercial components alongside an exclusive private marina and an 18-hole golf course. The residential parcel encompasses ten precincts, namely The Estuary, The Forest, The Golf Greens, The Botany, The Woodville, The Grove, The Golf Sanctuary, The Fairway Golf Villas, The Classic and The Waterfront. 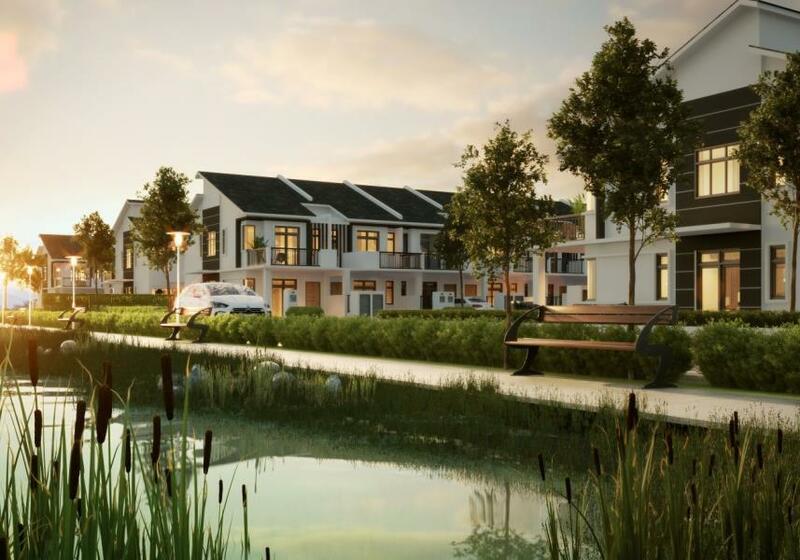 At Sebana, residents can enjoy living by the waterfront, playing golf on pristine fairways and experience nature in all its glory while being in the safety of a gated and guarded community. Another major feature of this development is the marina which is capable of berthing 100 vessels. It is provided with electricity and water supply as well as an immigration checkpoint area to ease clearance for foreign residents and visitors arriving by sea. 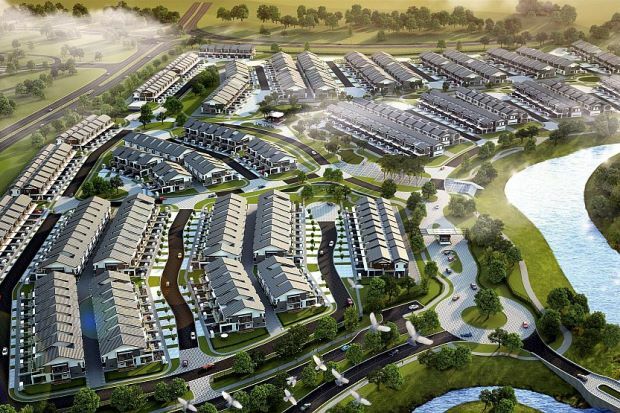 Isola Villas is the second phase of the Senibong Cove development located on the edge of Sungai Lunchu. It’s a larger and more prestigious precinct, following in the footsteps of the WaterEdge Residences. Developed on a 23-acre island, Isola is composed of stand-alone semi-detached villas. With a total of 144 units, prospective residents can choose from three types of 3-storey villas either from a waterfront or hinterland location. Each unit comes with four to five bedrooms with unique designs, layouts and features and is priced from RM1,600,000 onwards. 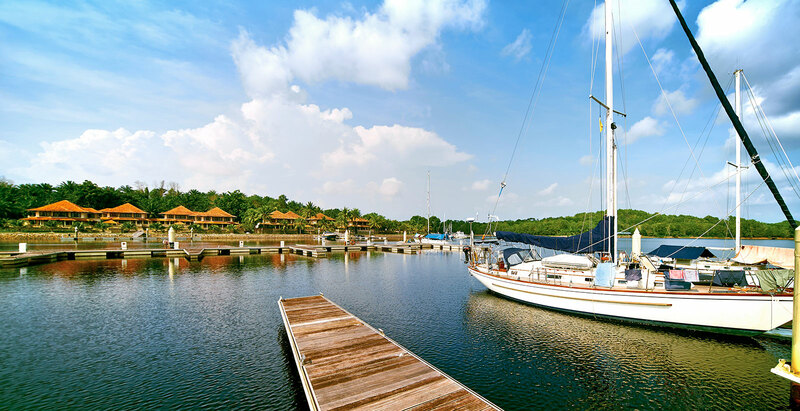 Residents will have the opportunity to pursue a variety of activities on the water including sailing, fishing, motor boating, canoeing, paddle boarding, water skiing and jet skiing at the Senibong Cove Marina. The development is also in proximity to JB Central, the Johor-Singapore Causeway and the new EDL expansion. Even so, It is located far enough away from the hustle and bustle, allowing residents to enjoy the contemporary feel and tranquil surrounding of Senibong Cove. StarProperty.my Awards 2018: Jewels of Johor is back to reward real estate developers who have contributed to the expansion of Johor’s real estate industry, breaking new grounds with creativity and innovation in housing design and practice. The registration of this year’s Jewels of Johor award is open until July 25. Visit http://bit.ly/JohorJewels2018 for more information or to register.